Product Details - Ingredients - hardened yak milk called churpi, include Cow milk, Yak Milk, Salt and Lime, Contain no preservatives or binding agents. Nutritional Fact - Crude Protein- Min 59.2%, Crude Fat- Min 5.2%, Moisture -Max 10 %, Fiber - Max 5.9%, Suitable- puppies who enjoy biting on treats for long hours. 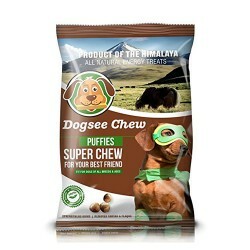 Use-Chew Energy Puffies are the perfect crunchy snacks best for growing puppies,These grain free crunchy treats are not too harsh on the teeth and gums. 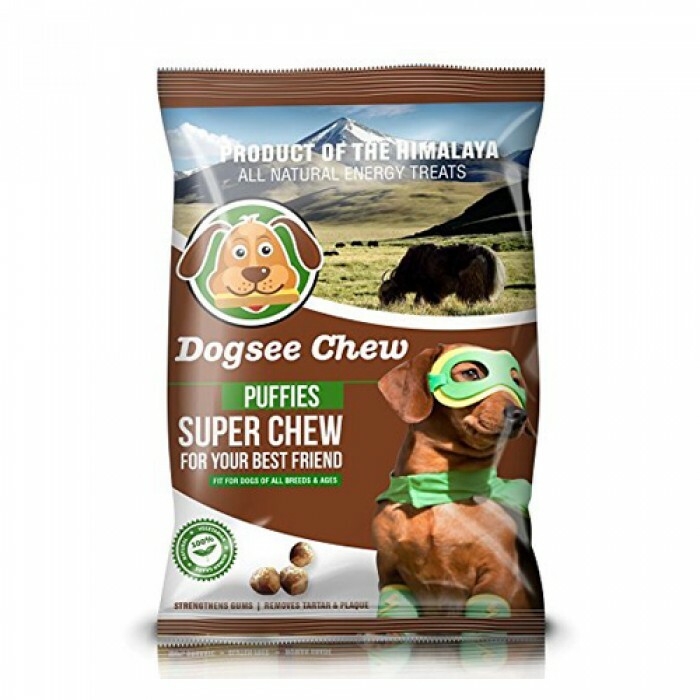 Product Information - Dogsee Chew Puffies have been specially made as a mouth-watering treat for your dogs and are ideal as an anytime snack. When you are enjoying a bowl of popcorn while watching a movie, your dog too can munch on these Puffies beside you. These nutritious Puffies are of high quality as it has more protein and fewer carbs, they are ideal for every dog breed. Benefits-Treats are 100% natural as they are made from pure milk and by using traditional methods 100% Gluten-free. About 60 % crude proteins.The fat content is less than 1% of the whole product .Easy to digest. Consists of approximately 5% crude fat and 6 % fiber.